Each collection contains 3 pair of stylish socks, with each one supporting a charitable cause. 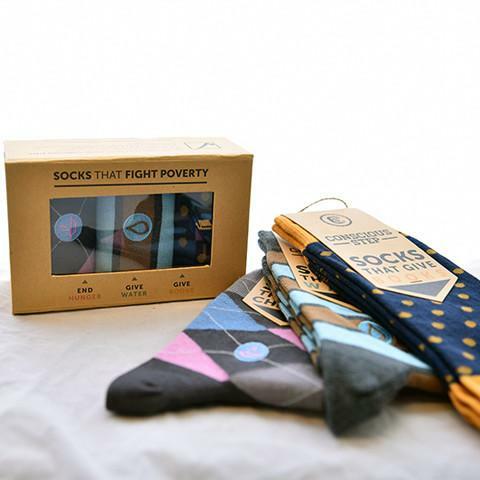 This collection includes Socks That Fight Hunger, Socks That Give Clean Water, and Socks That Give Books. Dad will love knowing that his awesome socks are supporting some really great causes and he will love the socks too! 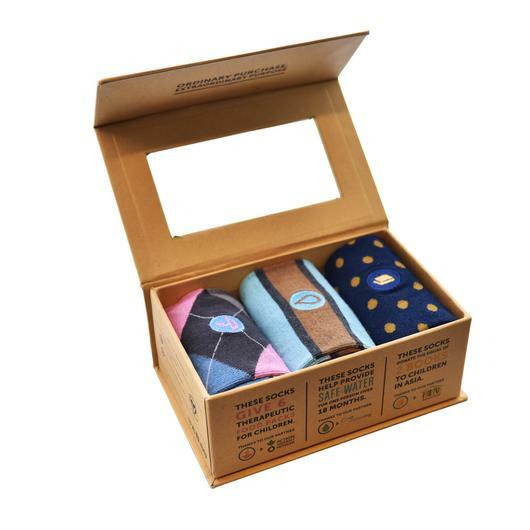 Conscious Step has a great selection of Men's and Women's socks and you can buy them in collections which are presented in a lovely box or as single pairs of socks. Conscious Socks are amazingly giftable so check them out today! Click to shop Conscious Socks! Unplug with PinBox 3000 this Summer! Bump It Off: A Multi-Purpose Wonder Gadget!